Farmers’ share of the price consumers pay for a kilo of beef has halved to 21% with the processors having fallen to 28% but the retailers margin now stands at 51%, the European Association of Livestock Markets (AEMB) has heard. At its annual general meeting in Athlone, delegates were told that in 1983 the farmer received almost 40% of the final consumer price of a kilo of beef with the processors netting approximately 30% and retailers the remaining 30%. 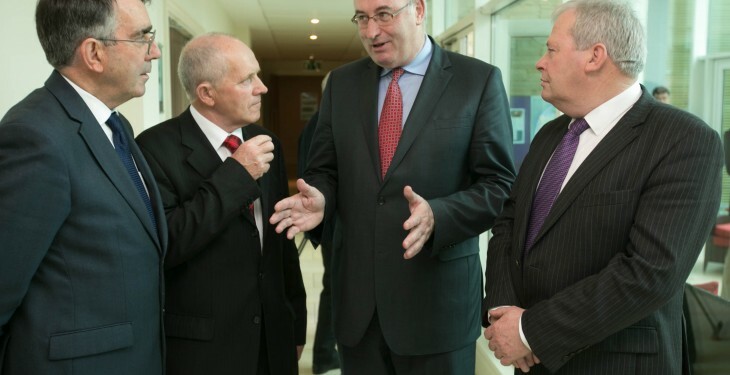 “This profiteering by the large retailers at the expense of farmers must stop or all European farmers will be mere servants to ever increasing corporate profits,” said Association President, Michael Spellman, Chairman of ICOS National Marts Committee. 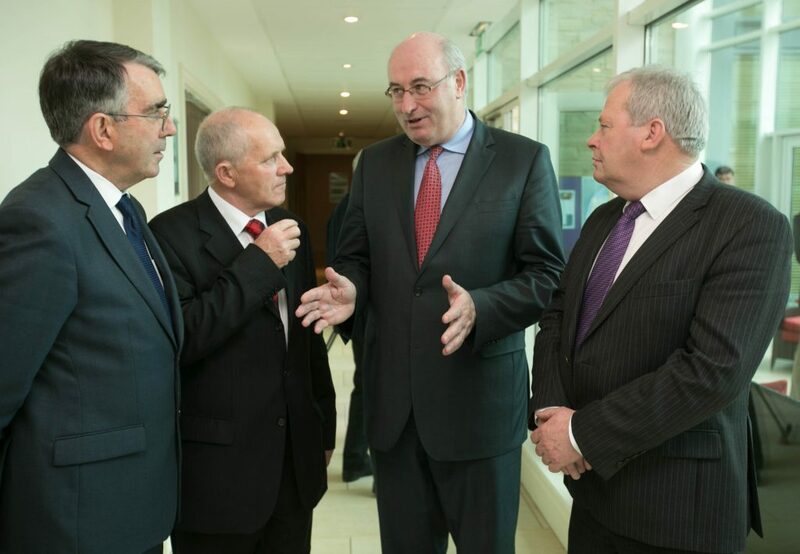 The meeting was was addressed by European Agriculture Commissioner, Phil Hogan; Bord Bia CEO Aidan Cotter; John Horgan, Managing Director of Kepak Group and Michael Sheahan, Senior Superintendent Veterinary Inspector, Department of Agriculture, Food and Marine. Addressing delegates, Michael Spellman said it is in all livestock markets interests that animals are treated properly and with respect. “Poor animal welfare is poor business and none of our markets want that. The increased emphasis by livestock markets on training of drovers and on safer and more welfare oriented design of handling facilities is illustrative of the ongoing commitment of our livestock markets to improving animal welfare. “The EU animal traceability systems that now exist in 2015 are a far cry from what was in place in 1983. On balance our livestock markets have fully embraced the animal identification and movement systems. “This enables all involved in the food chain to verify where animals have come from and where they are destined for. These systems have considerable costs associated with their introduction and maintenance. He said that recent legislation on Producer Organisations has been enacted at EU level. It is important that we ensure that there is no displacement effect on the part of Producer Groups in those countries that already have efficiently operating livestock markets. He said that beef and lamb production without livestock markets is the ideal situation for retailers and meat processors to control prices and ensure maximum profits for their industries. “We must ensure that livestock markets thrive and all false and bogus claims around animal welfare and meat quality are challenged constantly. “The large multinational retailers are constantly thinking of new and creative ways to minimise the throughput of cattle and sheep through livestock markets. “They know they must compete in a fair manner for livestock, in a livestock market but can offer poorer prices to farmers, if animals are sold privately. “In Ireland a farmer will be penalised by 12c/kilo if they trade their cattle in a livestock market 70 days before slaughter. “The reasons we are given is that the consumer demands this. However we have yet to see the real question the consumer was asked as many of these so called independent surveys create a question to suit the answer required.